We are gearing up for some fun 4th of July celebrations in our household! We always try to make it to my parents house because they always have a great pool party. Here in Oklahoma it’s always hot in the summer and the pool is a nice way to cool down. I thought this Patriotic Veggie Platter would be great for a 4th of July celebration and perfect to serve at the pool party. The fresh veggies go great with the Chobani Meze Dips I used for the platter. I used tomatoes, bagel crackers and cauliflower for this platter. You can use different kinds of red and white veggies for the platter too! These Chobano Meze Dips come in 4 different delicious flavors made with only natural, non-GMO ingredients. I love that these dips also have 80% less fat and 65% fewer calories than the leading hummus. 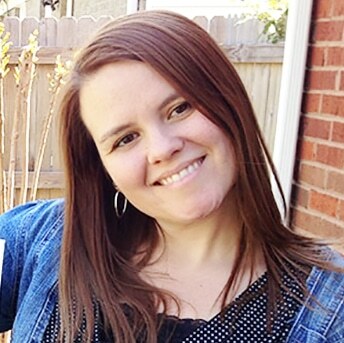 Chobani Meze Dips feature real veggies, herbs and spices blended with creamy Greek Yogurt. Our favorite was the Chobani Meze Dip Chili Lime flavor! So good!!! I found these at Target, but they can also be found at Meijer and WalMart. 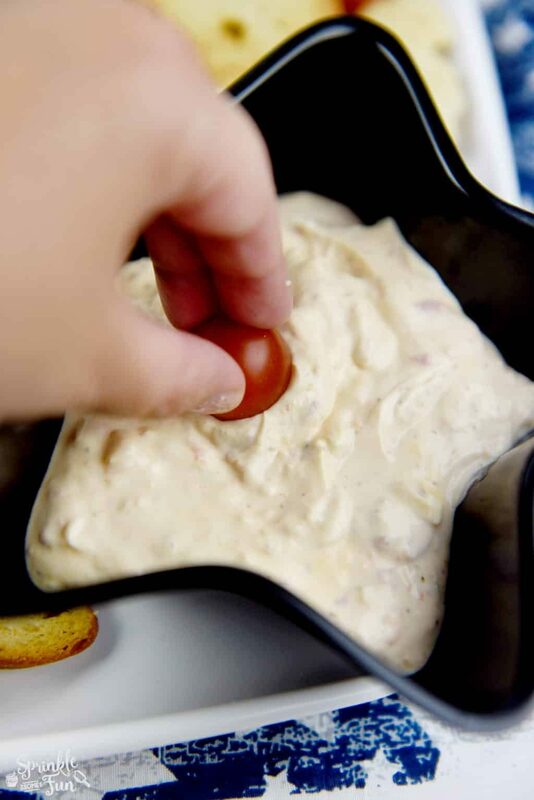 The Chobani Meze Dips come in a handy 10 oz. size that is perfect for sharing at a party. I used the star bowls to serve mine in, but you can also just serve them in containers they come in. To assemble the platter I started with the cauliflower on one of the corners of my square platter and then added rows of tomatoes and bagel crackers in a pattern. The platter I used is a 16 by 16 inch plastic platter and the star bowls are tortilla baking bowls I found online. To give it even more of a Patriotic flair I used a simple red white and blue bandana underneath the platter. 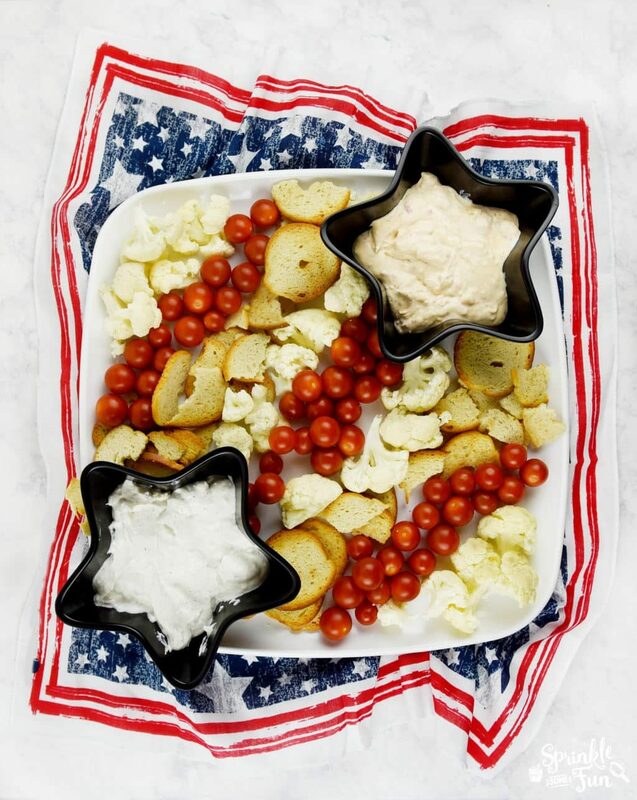 I just love how this Patriotic Veggie Platter turned out! You could also use meats or different breads on the platter, too. 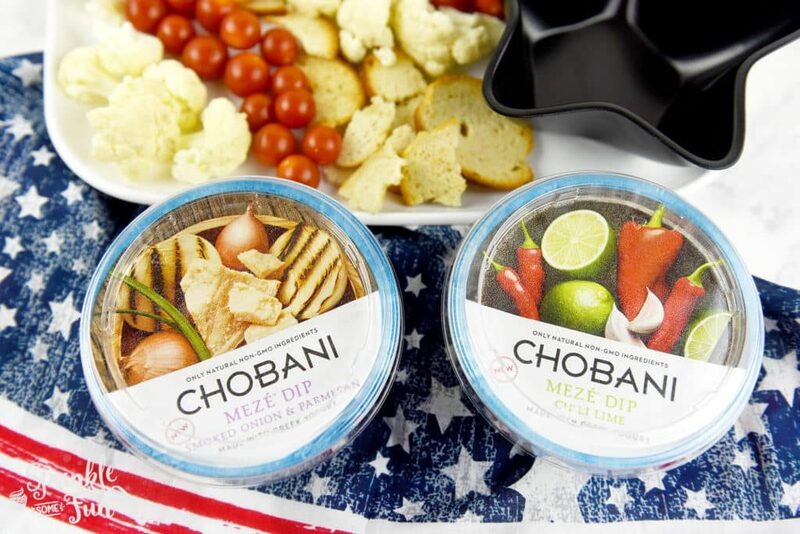 We usually have chicken kabobs for our 4th of July celebration and I thought that the Chobani Meze Dips would be great to dip the chicken in. The Chobani Meze Dips Smoked Onion and Parmesan flavor would especially be great with chicken. The Chobani Meze Dips have a great tangy kick thanks to the greek yogurt. I am going to bring extra Chobani Meze Dips and serve it with the kabobs so that everyone has plenty for the chicken and veggies! I always look forward to the 4th of July every summer and I can’t wait for our celebration this year! I think this Patriotic Veggie Platter will be the talk of the party and hopefully i will have enough to serve everyone. 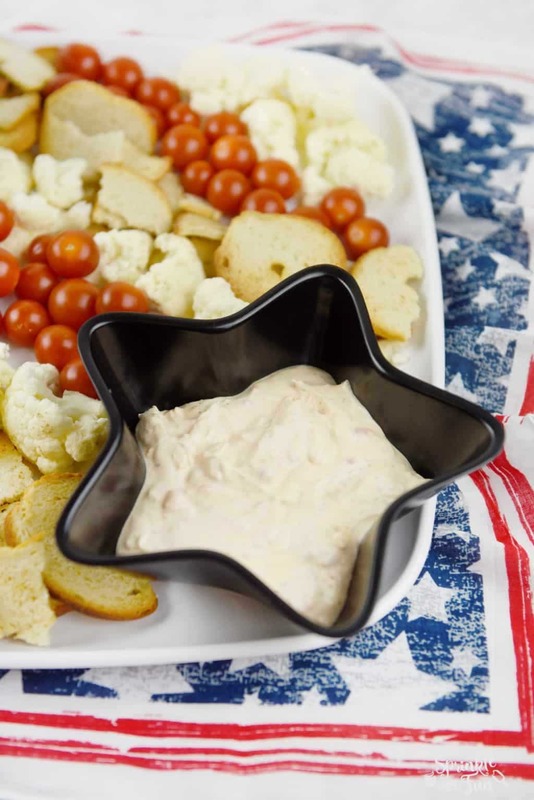 My mom always invites a lot of people to her 4th of July party so I am thinking of making 2 platters to serve! What will you be doing for the 4th of July this year? Be sure to use this coupon for $1.00 off if you want to try the new Chobani Meze Dips and get several varieties to try.